Want to know what you can expect to see at Immokalee Regional Raceway this weekend? Lots of the numbers one and two. Mike Thompson Sr. will have one on his car. So will Michael Beard and Michael Ruff, Donny Urban and B.J. Bianchi. So what do they all have in common? 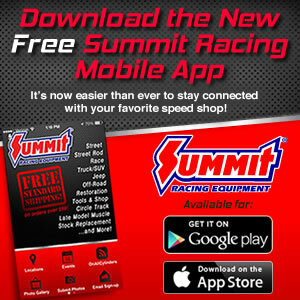 All five drivers finished either first or second in the final IHRA national standings last year at the Summit Racing Equipment Tournament of Champions and all five call Division 2 home. As unlikely as it may seem, the Heat Wave Division had three world champions, two runner-ups and one more racer finish on the podium in 2012. That is far and away the most success any one division enjoyed at the season-ending championship tournament last year. 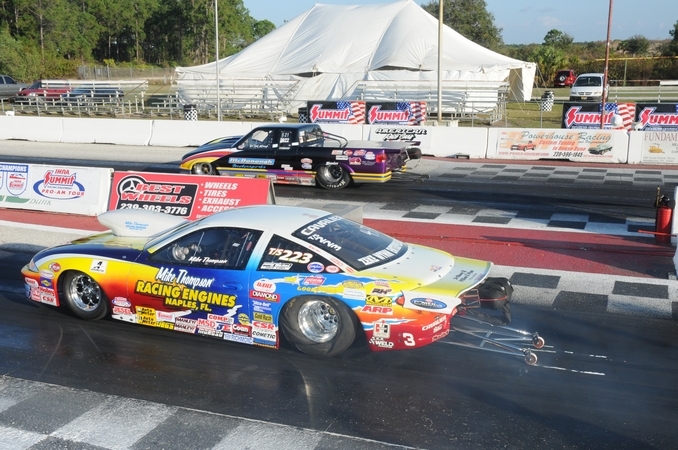 And all are expected to be back to begin their title defenses when the 2013 Summit Racing Equipment Pro-Am Tour presented by AMSOIL kicks off its season this weekend at Immokalee Regional Raceway. This double points meet is located in the heart of Division 2 country, but is actually open to racers from any division. McDonough was part of one of the most unlikely championship scenarios you will ever find last season. McDonough, from Southwest Ranches, Florida, finished third in the final Division 2 Top Sportsman Pro-Am standings behind division champion Donny Urban and runner-up Mike Thompson Sr.
With all three advancing to the year-end Summit Tournament of Champions via a top three points finish, one would expect that the trio might meet again in Memphis. But when they each found themselves all alone in the semifinals, it became quite clear that the path to the Top Sportsman world championship rested solely in the Heat Wave division. Indeed the trio of McDonough, Urban and Thompson did go on to finish top three in the final year-end standings, with Mike Thompson driving his 2003 Cavalier to the winner’s circle and Donny Urban coming home second and McDonough third. But that isn’t the end to this incredible story. Division 2 Super Stock champion Michael Beard went on to claim the world championship in Memphis, joining divisional runner-up Michael Ruff in the winners circle in Super Rod. Division 2 Stock champion B.J. Bianchi finished second in the world as well. That is quite a winning percentage for the division with one of the largest regional footprints. Competition in Division 2 stretches from south Florida to the Carolinas, but it counts among its racers some of the most loyal and competitive drivers in the business. And the battle for divisional supremacy will once again get underway this weekend in southern Florida as Immokalee Regional Raceway hosts not only the heavy hitters who call D2 home, but also all racers who want a chance to test their talents early in the year. The event is open to all IHRA racers with in-division claims on the line for all. And ironically, the two drivers who started the season off with the first wins of the year in 2012? Rick McDonough and Mike Thompson, who took home wins at Immokalee last season.